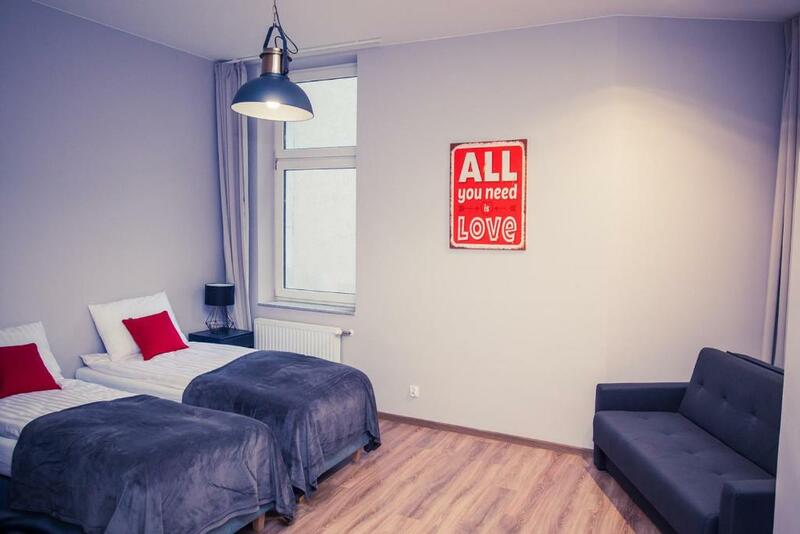 This apartament is everything you need for a short stay. Pretty small one, but with some clever tricks to overcome it. 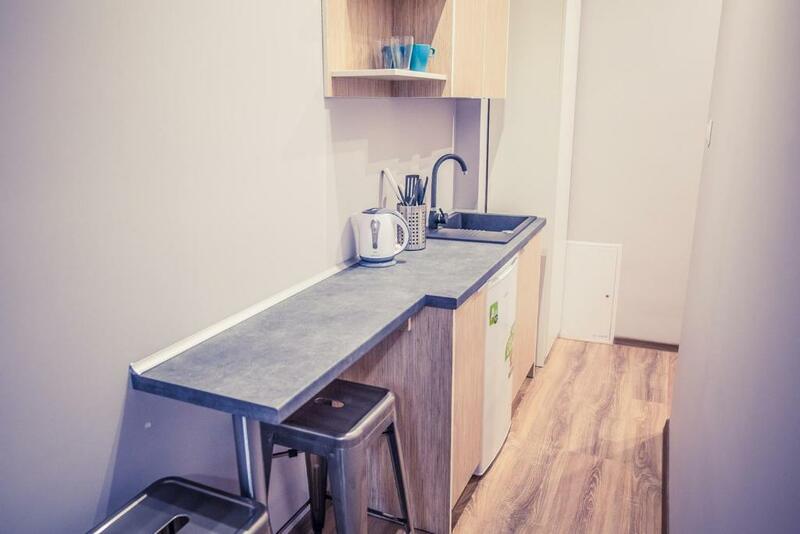 Nice location, easy accessible with public transport. Friendly owner, cleanliness, good location, quiet, good privacy, everyrhing in the apartment was new. The entrance hall in the building is little ugly, but that should not scare anybody. 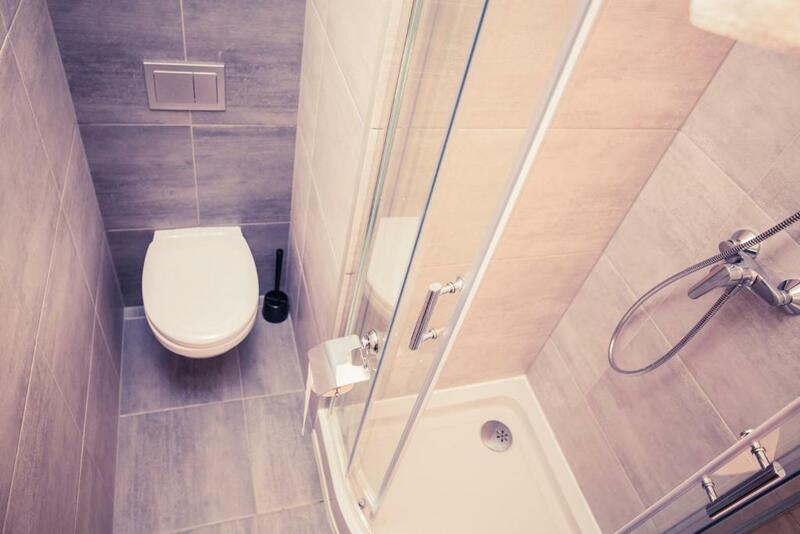 In the apartment you will find very good conditions. I highly recommend. Przytulnie, czysto i wszystko co potrzeba do krótkiego pobytu znajduje się na miejscu. Pokój super. Cichy,ciepły,czysty,ładnie urządzony. Okolica bardzo fajna wszędzie gdzie chciałam dotrzeć bez problemu dotarłam. Najbardziej pozytywnie wrażenie wywarł na mnie właściciel. Przemiły człowiek bardzo mi pomógł odnaleźć się w tym dużym mieście którego nie znałam. Jeśli jeszcze raz będę miała pojechać do Szczecina na pewno skorzystam tej oferty. Extra zyczliwy menager .Szczerze polecam te apartamenty. Top Lage, persönlicher kostenloser Abholservice vom Bahnhof durch den netten Besitzer. Es war eine sehr saubere und ordentliche Unterkunft. Alles war fußläufig erreichbar und sehr schön. Lock in a great price for Apartamenty 21 Basic – rated 9.5 by recent guests! 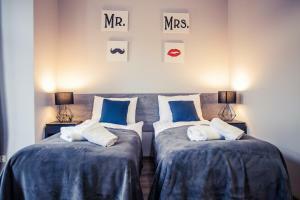 Located in the Srodmiescie of Szczecin, Apartamenty 21 Basic provides accommodations with a flat-screen TV. Complimentary WiFi is available. 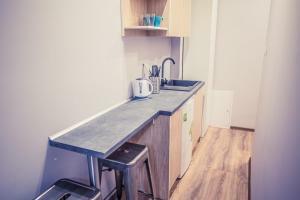 The units have a fully equipped kitchenette with a fridge and a stovetop. Some units include a seating area and/or a balcony. University of Szczecin is a 4-minute walk from the apartment, while Szczecin Maritime University is 1.3 miles away. Solidarity Szczecin-Goleniów Airport is 28 miles from the property. 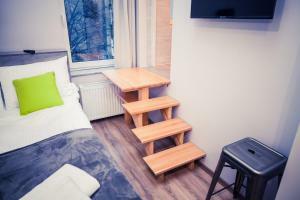 When would you like to stay at Apartamenty 21 Basic? This triple room has a flat-screen TV and kitchenware. 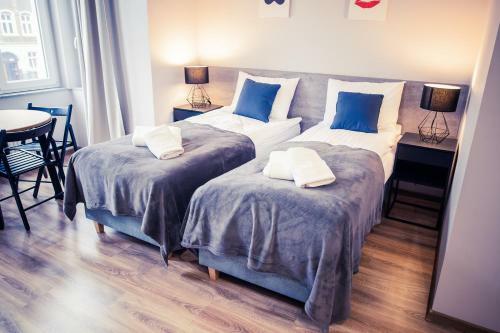 This double room features a balcony, kitchenware and kitchenette. 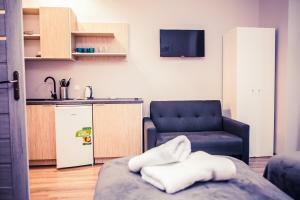 This triple room features a kitchenette, kitchenware and flat-screen TV. House Rules Apartamenty 21 Basic takes special requests – add in the next step! Please inform Apartamenty 21 Basic of your expected arrival time in advance. You can use the Special Requests box when booking, or contact the property directly using the contact details in your confirmation. The building itself is quite old and the staircase is dirty.